Admission to the School of Business at USI is based primarily on GMAT score and undergraduate transcript. The admissions office also considers leadership potential and work experience. Students may supplement their applications with letters of recommendation, personal statements, and an interview, but none of these are required. According to the...Admission to the School of Business at USI is based primarily on GMAT score and undergraduate transcript. The admissions office also considers leadership potential and work experience. Students may supplement their applications with letters of recommendation, personal statements, and an interview, but none of these are required. According to the school's website, "all candidates for admission to the MBA program must demonstrate proficiency in computer skills. Proficiency may be established by successfully completing college-level course work within five years of admission to the MBA program or by passing a proficiency exam provided through the MBA office." Evansville, with a population of 120,000, is a small industrial city in southern Indiana; about one-third of its jobs are in manufacturing (Toyota is the metro area's biggest employer). The closest large city is Louisville, Kentucky, about 120 miles away; Nashville, Indianapolis, and St. Louis are all within a 200-mile radius. Students appreciate the small-town setting, which they find conducive to study. "Coming from a much larger city, I think Evansville is wonderful. The community is great," one MBA writes.Students also love the "nice atmosphere on campus and up-to-date facilities." One MBA writes, "There are many things a person can do. The gym facilities are brand new. New buildings are popping up every year. It's a great place [that] has many community builders and activities for students. It is a great campus to just hang out at and get to know people." One student notes, "USI provides a close community for the students who wish to be involved. There is always help and always activities to participate in. "Most students, however, are simply too busy to get involved with campus life. One student explains, "The MBA degree program at USI is designed for working adults. Most of us don't spend much extra time after class unless [it is] necessary." One typical student writes, "I commute one hour to school, work a full-time job as a health-system quality leader, travel two hours one way to sing in a chorus each week, am a cantor, and am very active in my church with my husband. [I also] have a grown daughter who is married with an eight-month-old son and take two to three courses at a time. The amount of time necessary to be an active participant in all of this keeps me from being more active in school activities—other than the MBA program and requirements." Professors recognize "that the MBA student has a tough schedule to juggle" and usually create assignments accordingly. The Career Counseling Center at USI assists students through assessment testing, personalized counseling, workshops, online job databases, and resume books. The office maintains a library of electronic and print resources pertaining to all aspects of the job search. Students may also access the electronic resources of the entire University of Indiana system. MBAs and MSAs explain that "career placement seems greatly tailored toward accounting majors. It could be more broad." Because most USI MBAs have jobs, which frequently contribute toward the students' tuition, the school places a relatively low priority on career services for its MBA students. The MBA program at the University of Southern Indiana benefits from the huge undergraduate population of business and marketing majors at USI's School of Business. With nearly 2,000 such undergraduates, USI can maintain a much broader range of graduate business offerings than could most schools of its size. The school offers an MBA in general management and a master's of science in accountancy (MSA).USI's MBA program offers up to 18 hours of foundation courses for students with little or no undergraduate background in business. Students must complete or place out of these courses before turning to the 30-hour core sequence. This system allows part-time students to complete their MBAs within three years and full-timers to complete the degree within two years. 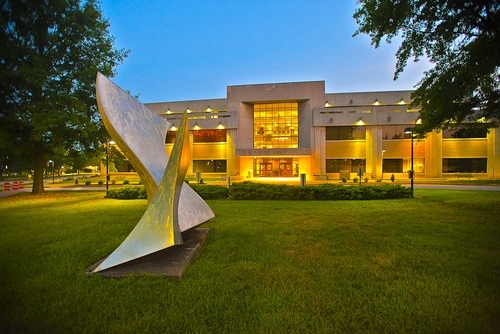 The MSA curriculum includes 15 hours of accounting, 3 hours of business law, 3 hours of finance, and 9 hours of electives.Students report that USI's approach "is very good at giving the student a core basis in everything business-related," but that the program would benefit from "more focus on specialized business areas such as entrepreneurship, global marketing, international business, Internet technology, and other specialized fields of study as opposed to [a] broad scope of [the] MBA program." Some students also believe that the school goes too far to accommodate students whose jobs leave them too busy for intensive study. One MBA observes, "Some classes are ‘watered down' for the nontechnical students. For instance, most classes take all calculus-based problems out of the curriculum so that most of the students would not be intimidated. I believe that real-life economic and operations problems require one to develop models and perform standard calculus computations to arrive at an answer. "Students who want to dig deeper will find willing accomplices in the faculty. USI professors "are very knowledgeable in their chosen field. Marketing, finance, and economics professors all do very well with their material." Their "diverse backgrounds and experiences help students to gain a better understanding of all the fields represented in the program." USI's busy MBAs also love "being able to resolve most of administrative issues over the Internet. That's extremely convenient," one student comments. Overall, the students feel they receive "good academic ‘bang for the buck,'" and that "you can definitely take pride in this school," according to a survey. Want more info about University of Southern Indiana School of Business Part Time MBA? Get free advice from education experts and Noodle community members.